These Rare varieties of Japanese Wisteria, although fantastic in the garden, and as easy as any other wisteria to grow, have only recently been introduced from the far east, and propagation for the nurseries in Europe has been a challenge - until now, so much so, we are among only a handful of growers in Europe to have these available!! All of these new Japanese types are reflourishing in nature and are characterised by very large flowers, all of which have a delightful fragrance. The plants are more compact than many Wisteria varieties, and will only climb to around 4-6 metres. Our plants have been specially grafted to ensure ultra vigorous plants that flower at a young age; in fact flowers can be expected in the first season. Don't just use as a climber on a fence - Wisteria plants also look wonderful trained as a small weeping tree. Renowned for their superior fragrance, they are an ideal, climber for covering a sheltered, sunny wall or strong pergola. 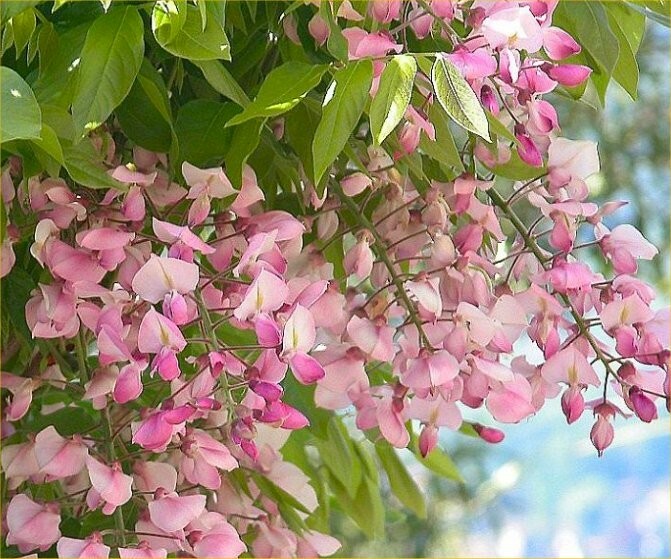 These wisterias are much sought after because they are the only species to have beautiful downy foliage, which is soft and furry to touch. 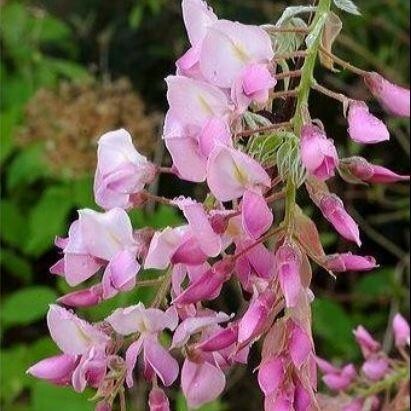 This variety has very large pastel pink, gracefully scented flowers. Supplied in approx 2-3 litre containers. 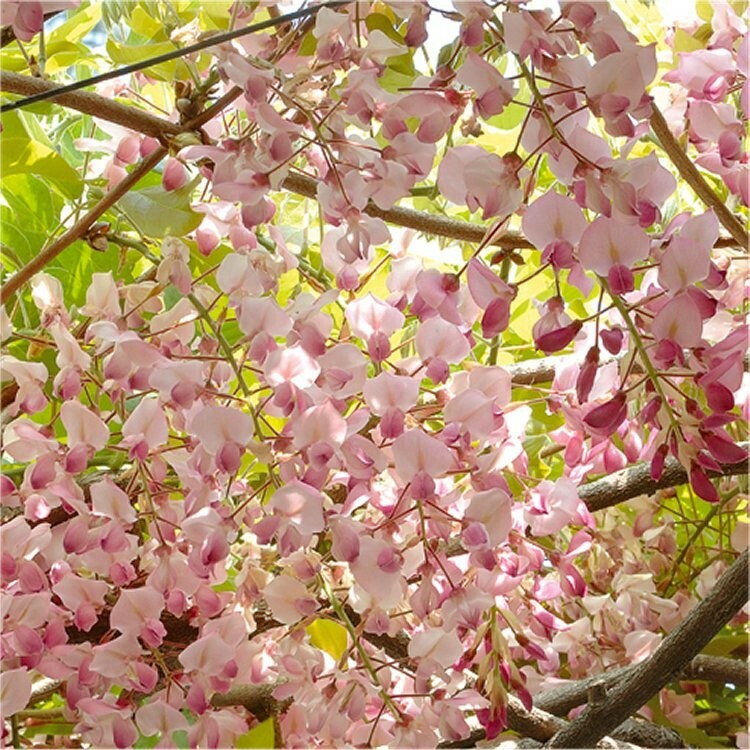 These are quality grafted plants and in season, may even have blooms present on delivery.